Patrick Gibbons: Country Style president thinks the company will be a "Canadian success story." Dan Annis (right) lost everything when Country Style Doughnuts sought protection from creditors in December 2001. His Kingston shop closed at the end of January. There is no way to sugar-coat what Joe Shahsamand is saying. 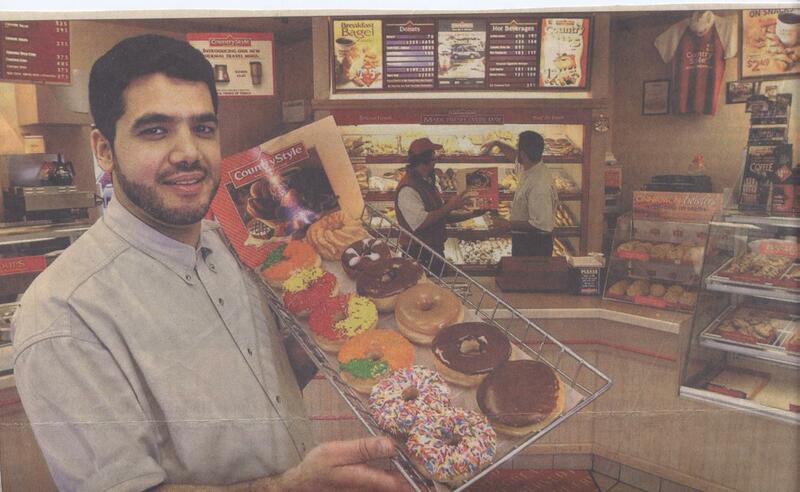 Shahsamand started with Country Style coffee and doughnuts in 1995 because the “knew this company was going to go in a good way.” He added another location soon after, then a third. He didn’t think insolvency was on the menu. But he was wrong. The Country Style chain, which so dominated Ontario throughout the 1970s and 1980s, went on to spend the next 10 years falling further and further behind as the likes of Tim Hortons entered the fray with sparking new stores and revamped menus. By then the whole Country Style empire was teetering on the brink. From department store chain Eaton’s to discount high flyer Canada 3000, the business landscape is littered with companies that went into bankruptcy protection and never fully recovered. Though the Companies’ Creditors Arrangement Act, commonly known as CCAA, is meant to help protect companies from creditors while management comes up with a proposal to restructure debts and arrange new financing, the process exacts a heavy price. Not all companies are successful. Now that Country Style Food Services Inc. is back with a new president and new ideas, will it be one of the rare firms to come out of CCAA and flourish? That’s because there’s clearly no catching the billion-dollar Tim Hortons juggernaut with its 2,400 locations. Instead, Country Style will set its sights on Coffee Time, its closest rival in size. But first, Country Style has the huge task of rejuvenating the remaining – and battle-scarred – franchises. The company must also find a way to shake off the after-effects of the CCAA process that left some former owner operators financially devastated, and long-time employees, dismissed without notice or severance, out in the cold. That it happened at all to one of the country’s oldest doughnut chains is still a surprise. Torontonian Alan Lowe imported the Country Style franchise form the United States in 1963. Already the field was growing crowded with the like of Tim Hortons, Mister Donut, and a host of independents elbowing for space. Ontario, southwestern Ontario especially, was booming. The doughnut shop, with its neighbourhood diner atmosphere, was the place where the working man stopped for coffee and a doughnut on his way home from the office and took another dozen home for his family. Country Style led its rivals with steady growth through the 1970s, becoming Toronto’s dominant doughnut seller in the mid-1980s. Its heyday was memorialized by hockey-loving, beer-guzzling Canuck brothers Bob and Doug Mackenzie in the movie Strange Brew. The pair munch Country Style doughnuts throughout their big screen send-up of Canadian culture. That’s about the time Tim Hortons exploded, becoming the McDonald’s of the Canadian doughnut business. Country Style drifted from one owner to another following Lowe’s death in the early 1980s. Under Maple Leaf Foods Inc., the chain expanded with about 100 locations in such far flung locations as Malta, Indonesia, and Brazil (these locations were unaffected by the restructuring). Maple Leaf sold the company to McCain Capital Corp. And the Ontario Teachers’ Pension Plan Board in 1995. Plans to take the company public in 1998 were shelved due to unfavourable market conditions. In 1999, Maple Leaf sold an 81 per cent stake in the company to CAI Partners and Co. LP, a Wall Street investment firm, for $45 million. By then, Country Style had ballooned to more than 350 locations, including at Sunoco and Shell gas stations and 60 Buns Master outlets (all of which were unaffected by the CCAA). But the company’s health was deteriorating. CAI partner Manfred Yu will concede that “the extent of the deterioration” of their investment caught the new investors by surprise. 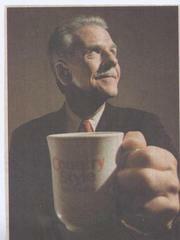 The situation came to a head in the first half of 2001, as Tim Hortons rolled on with its expansion campaign and Country Style’ sales suffered as it delayed its own “under the rim” promotion. The company also helped franchisees in Toronto with the cost of installing enclosed smoking sections required by city by-laws. “Those were the proverbial straw that broke the camel’s back, even though the over-all health of the franchise system had been deteriorating over the previous number of years,” Yu said. While the sales declined, Country Style increasingly helped to prop up some of its franchisees by accepting reduced royalties, or deferring them altogether. It also held substantial promissory notes or built up accounts receivable from franchisees who couldn’t afford monthly royalty, advertising, or rent payments. Country Style’s was also stuck paying leases for some 29 so-called dark stores, abandoned stores that sat empty while Country Style was on the hook to the landlord. As Country Style’s health deteriorated, it exercised its franchisor rights and began calling in the significant debts owed by its franchisees. In many cases, the results were devastating. Michael Fleming lost $250,000 when he and his wife walked away from two Country Style locations in Niagara Falls, including one on Lundy’s Lane, one of the tourist town’s busiest thoroughfares. “It was nothing short of a nightmare. We’re glad it’s behind us,” Fleming said. It’s a story that Dan Annis knows all too well. 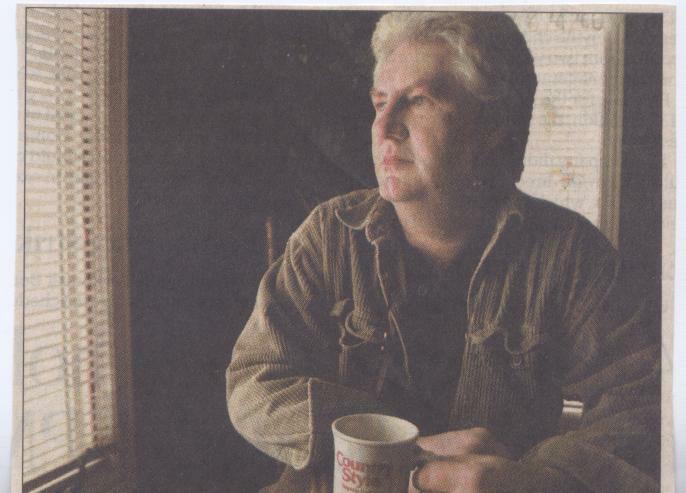 The former Bell Canada warehouse worker opened his Country Style store in Kingston in August, 1997. Sales lagged at the beginning and Dan and his wife worked 16 to 18 hour days. “So I called Country Style and said: ‘Something’s not going right down here. We need someone to show us what we’re doing wrong.’ They sent somebody down and they said: ‘Don’t worry, you’re doing everything you’re supposed to be doing. When your sales get better, things will start getting better for you.” Sales got better, but nothing else did, Annis said. The company waived royalties because Annis couldn’t afford to pay them. At one point, Annis owed the company more than $100,000. Country Style offered to cut the debt to $55,000 and let him make monthly payments until he caught up. Over the next four years, Dan and his wife brought annual sales up to $700,000. But their bottom line was still only about $51,000. After monthly payments on their bank loans of $3,000, they were left with $15,000. It didn’t take long for their debt to Country Style to creep back up to $100,000. Country Style filed for CCAA protection on Dec. 14, a move that included its six divisions: Country Style Food Services, Country Style Food Services Holdings Inc., Country Style Realty Ltd., Melody Farms Specialty Foods and Equipment Ltd., Buns Master Bakery Systems Inc. and Buns Master Bakery Realty Inc.
Country Style was able to walk away from 102 leases, including ones for 50 underperforming stores that were closed. Of those, 20 franchisees have taken up Gibbons’ offer to go out on their own as independents. Landlords who counted on as many as 10 years of steady rent payments from Country Style were shocked. Under Country Style’s CCAA plan, its only secured creditor – the Bank of Nova Scotia – received a lump-sum payment of $3 million. The remaining debt of about $13 million was restructured. CAI injected $2 million in new money, but made sure that the funds went in on a ”super secured basis,” Yu said, more senior even than the bank’s claims, and that they could be pulled out if the proposal was rejected. “If we could put together a plan of restructuring for Country Style, then and only then would we be willing to put in additional monies to support the healthy part of the business going forward. Otherwise, we would have just walked away from our investment because it doesn’t make any sense to put in good money after bad,” Yu said. Unsecured creditors, received a total of $2 million, to be paid in full up to the first $1,000 of their claims. After that, they got, on average, 12 cents to 15 cents on every dollar owed. At a meeting of unsecured creditors last Feb. 18, Country Style garnered 93 per cent support for the proposal. Companies in CCAA are typically aggressive about alerting creditors to their plan and encouraging them to vote. But some say Country Style went too far. Unsecured creditor Taragon Mercantile Inc. launched a legal challenge just days after the vote, alleging that Country Style improperly promised financial incentives in return for votes supporting the plan. Those allegations were supported by sworn affidavits from Cathy Mauro, former director of marketing, who says that other employees told her they were “instructed to solicit proxies in favour of the plan and if a creditor was willing to give Country Style a proxy to vote for the plan, that Country Style would “release a cheque” to the creditor or would otherwise make a financial arrangement. Those allegations were never proved in court. “It is clear to me that Country Style determined to buy votes, “ Mauro said. Gibbons sharply denies these allegations. “There’s no truth to that at all. Never were there any compromises or promises made at any time to my knowledge, and I’ve spoken to everyone here. Among Taragon’s other allegations was that Deloitte & Touche, which acted as Country Style’s consultant, as auditor for CAI and Country Style, and later as court-appointed monitor, had a conflict of interest. A Deloitte spokesperson says it is not unusual for ran accounting firm to act as consultant, auditor and monitor. CAI says the arrangement made the entire process more efficient. “If we brought in someone new who didn’t know anything about the company, it would have taken a lot longer to get them up to speed. The time factor is very critical. The longer we’re in CCAA, the worse Country Style is going to become as a viable asset,” Yu said. Deloitte has since split its consulting and audit units. Taragon alleged that when it gave Country Style $85,000 (U.S.) in hopes of bringing the franchise to Cuba, the money was not held in trust. When the Cuba plans fell through, Country Style only returned about $21,000 of Taragon’s funds. Taragon’s legal challenge threatened to derail the entire CCAA process. But the lawsuit was dropped after the two sides reached an eleventh hour, out-of-court settlement, the terms of which remain confidential. With no other legal opposition in the courtroom on the morning of March 7, Judge James Spence approved Country Style’s plan. Country Style’s brush with bankruptcy has the potential to scare off would-be franchisees. There’s a painting that overlooks the waiting area at Country Style’s head office. In it, a Country Style store sits on a distant hilltop. Under a sunny sky, happy customers cross a concrete bridge to get to the store. The chain’s rivals, Time Hortons, Coffee Time and others are shown far below, deserted and inaccessible. The bridge’s three support columns are labelled “Front line staff,” “Owner operators,” and “Head office.” The columns are straight and strong, showing no signs of decay. It is impossible to see inside the shop.